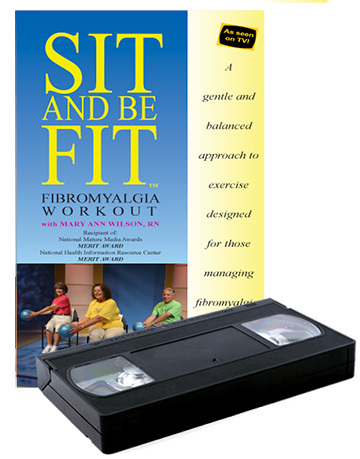 The Season 11 DVD Box Set contains all 10, half-hour episodes in HIGH DEFINITION, from Sit and Be Fit’s season 11. Mary Ann combines a number of exercises to sharpen driving skills by working the brain, eyes and hand/eye coordination. Mary Ann uses a variety of exercises to stimulate the brain including body tapping, visual tactile stimulation, and reaction time drills. Learn how to use rhythm to keep different processing areas of the brain sharp by practicing special exercise combinations. Integrating exercises from Neuronet exercise specialist, Sandra Dearman, Mary Ann shares exercises that strengthen pathways between different processing areas of the brain. This workout combines a variety of exercises that will encourage perceptual motor fitness for the purpose of strengthening communication between body and brain. 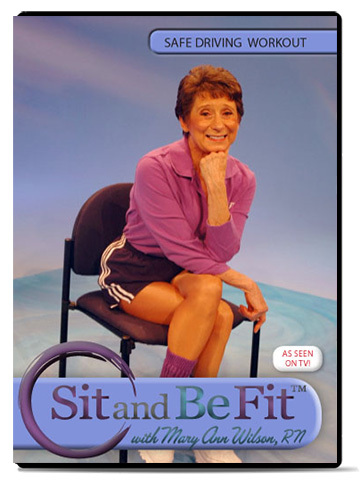 Mary Ann incorporates body patting and other exercises that help strengthen balance and stimulate the body and mind. This upbeat program combines exercises for driving, coordination, balance and brain function set to a variety of lively music. Mary Ann practices seated reaction time and peripheral vision exercises using a lemon! A variety of finger exercises are also demonstrated. A towel is used to assist with breathing exercises while new balance and eye exercises are introduced to challenge the vestibular system. Mary Ann integrates small and large balls into this workout encouraging viewers to develop their balance and coordination skills.